Many may talk about their customer satisfaction goals, but ALL WEATHER HEATING and COOLING proves it with complete service after the sale for our Clarksville area customers. We are not a fly by night company who sells you equipment today and is gone tomorrow. Conversely, we view a sale as the beginning of a new customer relationship and not the end. 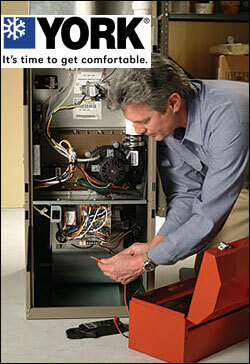 We are here to offer advice and preventative maintenance services ongoing, so you stay comfortable year round! As part of our service after the sale offerings, ALL WEATHER HEATING and COOLING allows you to protect your heating and air conditioning investment with our preventative maintenance service plans. From tune ups to seasonal preps to filter changes, ALL WEATHER HEATING and COOLING will keep you comfortable regardless of the seasonal weather! It is important to remember that air conditioners, furnaces, heat pumps, air handlers - in fact almost every component of your HVAC system requires routine maintenance. Similar to an automobile, a neglected air conditioning and heating system will begin to decrease in operating efficiency and cost you more to run. If neglected long enough it will eventually break down requiring costly repairs. Let us keep your HVAC system running at peak performance and efficiency with our service after the sale maintenance plans. You will not be disappointed! 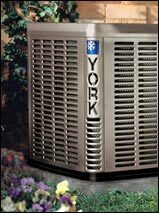 Why York® for your Clarksville air conditioning, heating & indoor air quality needs? The fact is that, as mentioned above, our primary goal is the complete satisfaction of our customers. With York® heating and cooling products we sleep easy at night knowing that our Clarksville area customers have the very best keeping them comfortable. It just doesn't get much more important than that.